Works well. The only thing to mention is the extremely snug fit. This means you need to remove both the holder and the box for replacement. 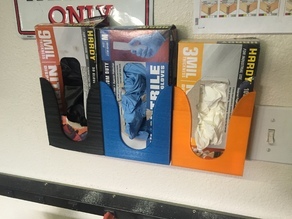 With a little more space in the design, the box of gloves could be replaced without removing the holder. Really like the design. Thanks!